The PressureGuard® Easy Air™ is independently documented to outperform every leading low-air-loss system in this key performance area. Remarkably, it does so with none of the compromises low-air-loss prescribers have come to accept. The Easy Air LR adds lateral rotation. 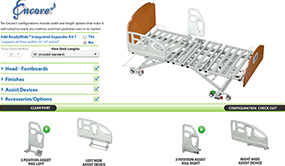 The Easy Air XL 1000 serves the Bariatric Patient. 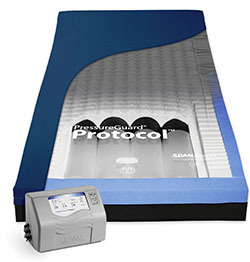 The PressureGuard® Protocol™ provides an unmatched combination of microclimate management, pressure redistribution, ease of use and patient/caregiver safety. Its efficient design generates substantially less heat and noise than traditional “roll-up” low air loss surfaces while consuming less power. 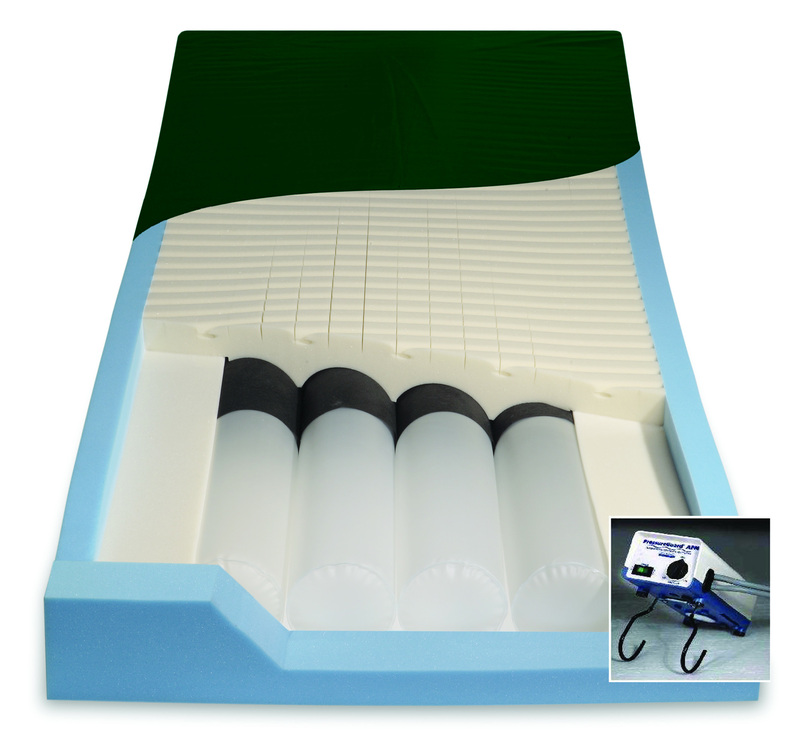 The PressureGuard® APM² Safety Supreme combines all the features of the top-selling PressureGuard® APM², plus the added safety benefits of raised perimeter edges to help prompt the user away from the edge of the bed. The PressureGuard® APM² enables you to change instantly and easily from alternating pressure to basic lateral rotation with a single, recessed toggle switch. The silent, reliable, maintenance-free control unit allows simple adjustment for user comfort. 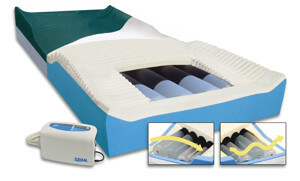 The PressureGuard® Bariatric APM offers alternating pressure therapy with 8 comfort settings for users up to 750 lbs. The powerful digital control unit supplies up to four times the air output of conventional units. 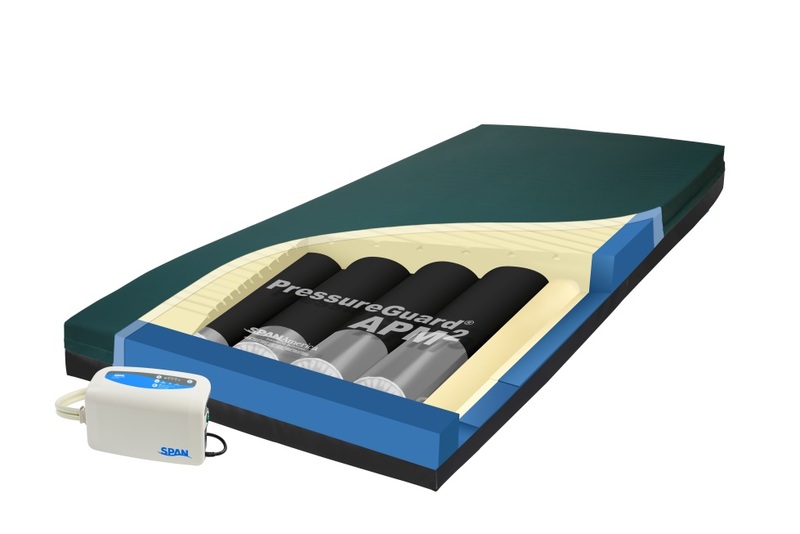 Unlike other alternating pressure mattresses, the PressureGuard® APM won't create extreme pressure gradients between inflated and deflated cylinders.